Getting a brand new dachshund puppy is very exciting. Nevertheless expect to encounter house training hurdles while training dachshunds, whether a puppy or adult. Be very watchful before the dachshund is fully trained and be ready to put up with a few broken vases. Dachshund owners who wish to train their beloved companions definitely face up to a very tough task. Dachshunds are regarded as one of the most difficult breed to train. The cute little sausage shaped dogs can indeed be quite stubborn. Dachshund dogs are small dogs but with a big attitude making training dachshunds very challenging. Do not be fooled by their cuteness to think that they are submissive dogs. On the contrary, they like having the upper hand and are very independent. They are not keen on following instructions. Proper training of a dachshund is very important. They tend to be aggressive towards other people and pets and love to express dominance. Such behavioral issues should be stopped immediately with early and proper training. You should never let the dog get the upper hand as training will be even more difficult. When training dachshunds make sure they get plenty of exercise. Exercise should be part of training. Being essentially hunting dogs they have a lot of energy. This energy may end up being released in a very destructive manner. So, keep your dachshund active. In order to have an easy time training your cute little dog, you must furnish all the dogs needs. 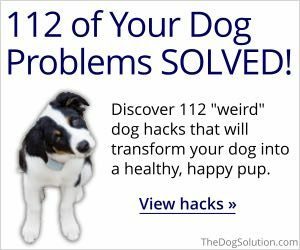 Provide the dog with love, physical attention and a proper diet. A physically and emotionally healthy dachshund is easier to train. When training a dachshund care should be taken not to injure the dog. Too much training and exercise may harm the dachshund. Dachshunds have an elongated body structure. They should not climb onto high surfaces or jump repeatedly. Their back can be at risk. While training them you must teach them not to jump or climb on high surfaces without assistance. 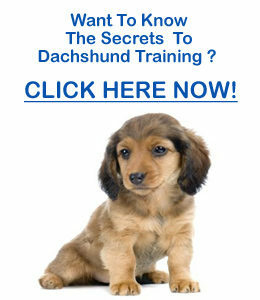 The interesting thing about training dachshunds is that it is not only for the dog but for the owner too. Dachshunds should be taught to follow instructions and the owners, how to give instructions. Dachshunds can be very defiant. Sometimes dachshunds may be difficult and may have to be enrolled in an obedience class. Owners of dachshunds should participate actively in the dachshund training process where he has hires a trainer. For someone who has owned a dachshund before it may not be necessary to take the classes all over again. With time and experience you will understand that training dachshunds does not have to be a dreadful experience after all. It can be and should be fun if you train the dog properly and in a playful manner. Bear in mind that training should be an opportunity to bond with your dog and not to punish him and keep rewarding him. Most of all you must be patient with your dachshund as you train him. Do not rush him as he may become unwilling to learn.